SEOUL -- Kumho Tire was formally launched as a subsidiary of Doublestar Friday after the Chinese tire maker completed the acquisition of a controlling stake in South Korea's second-largest tiremaker under a deal that followed a long period of bumpy negotiations with creditors and protests by workers. At a meeting of shareholders in Seoul, Doublestar Chairman Chai Yongsen said he would nurture Kumho Tire as a global company by combing the competitiveness of Kumho in passenger cars and the competitiveness of Doublestar in trucks and buses. 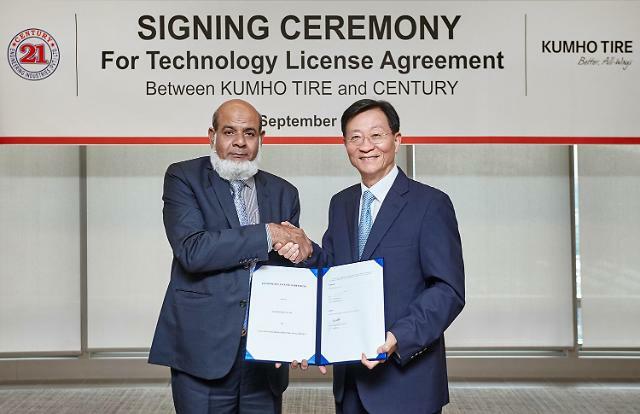 "The two companies will show their strengths through cooperation and joint venture to cause a multiplier effect and become a leading company in the global tire market," he said in a ceremony attended by officials from Korea Development Bank (KDB), a state bank which has been Kumho Tire's key creditor. 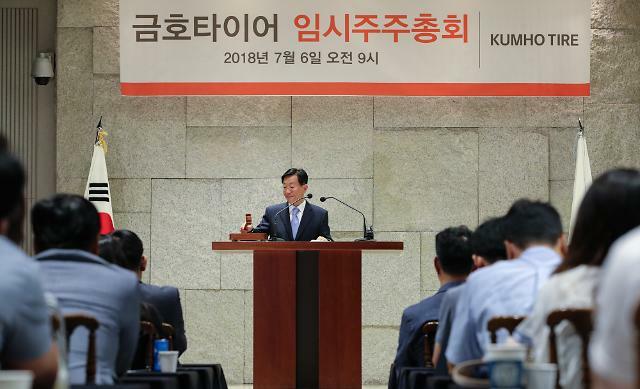 Kumho Tire will become a model for friendship and economic cooperation between China and South Korea, Chai said, promising to ensure its independent management. Chai was selected as an executive director of the nine-member board while non-executive outside directors included a professor from Chosun University in the southern city of Gwangju. 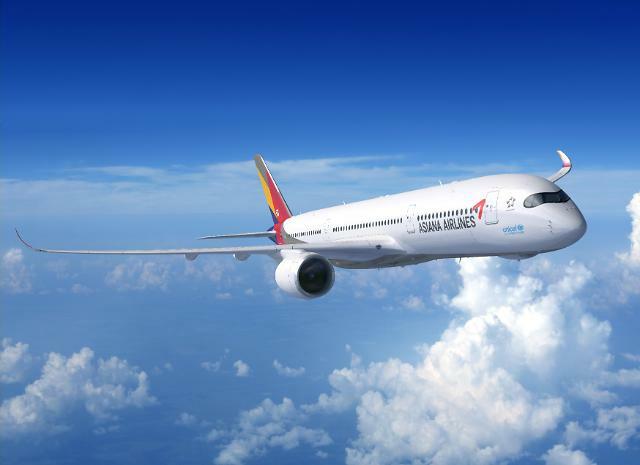 Negotiations have been on and off since Doubstar was chosen as a preferred bidder in early 2007, married by protests and objection from Kumho Tire's unionized workers as well as distorted patriotism and an attempt by Kumho Asiana Group chairman Park Sam-koo to regain ownership. In March this year, Kumho Tire's union finally endorsed Doublestar's investment to help the debt-stricken company avoid insolvency after the Chinese company promised to guarantee job security for at least three years. "Kumho Tire will increase profitability and raise its brand value through synergy with Doublestar," Kumho Tire chairman Kim Jong-ho said in a statement. Doublestar became the largest shareholder of Kumho Tire by acquiring a 45-percent stake for 646.3 billion won ($575 million). KDB's share fell from 42 percent to 23.1 percent. 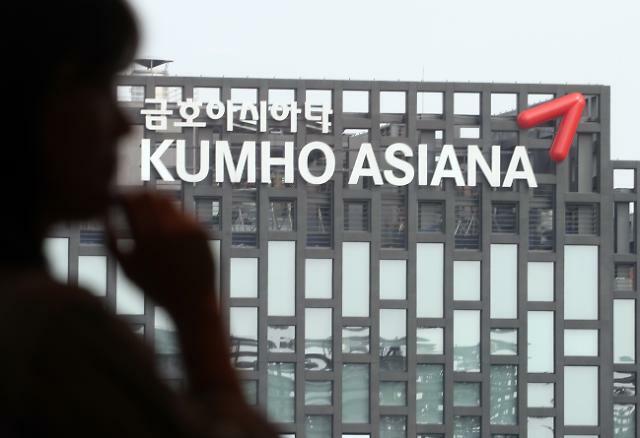 Workers have agreed to freeze their wage and reduce some work benefits for a while as Kumho Tire is saddled with about a total debt of 2.4 trillion won. 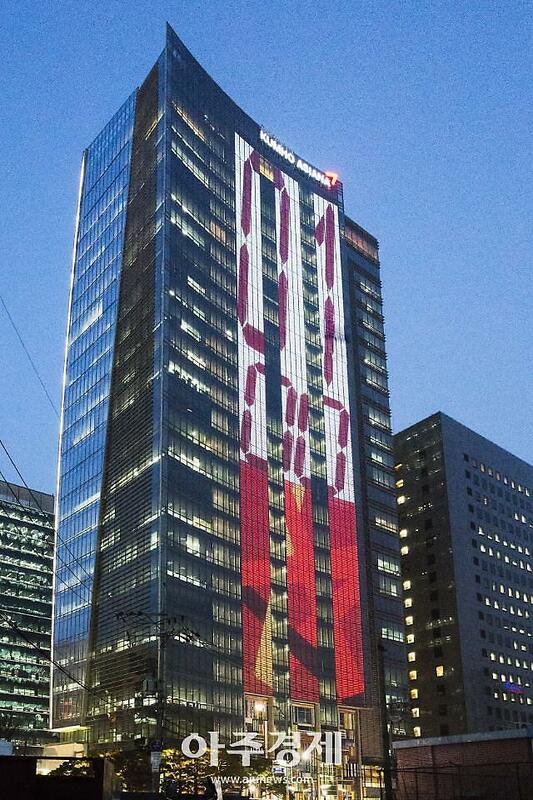 Kumho Tire was put under a debt workout program in December 2009 due to a severe liquidity crunch. It graduated from the program in late 2014, but the company's crisis has been aggravated by poor sales in China and mismanagement by its former owner.